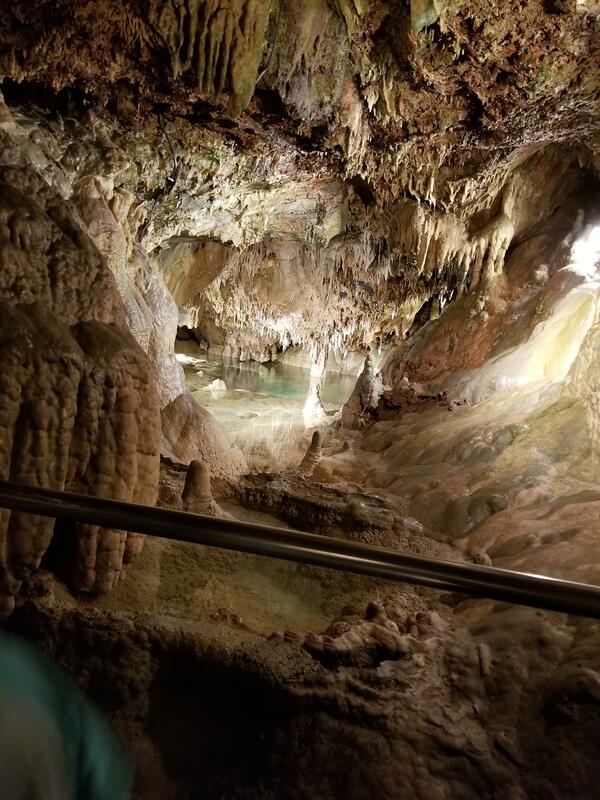 This past weekend my boyfriend, friends, and I went to check out Indian Echo Caverns in Hummelstown, PA since it was only about 30 minutes from us and we were looking for something to do. While it was not very busy when we arrived, we did have to wait about 15 minutes until they called our tour letter to go down to the cave. To go down into the cave there are about 75 steps, going down not so bad, coming up….tiring! There are benches along the way in case this worries you some. 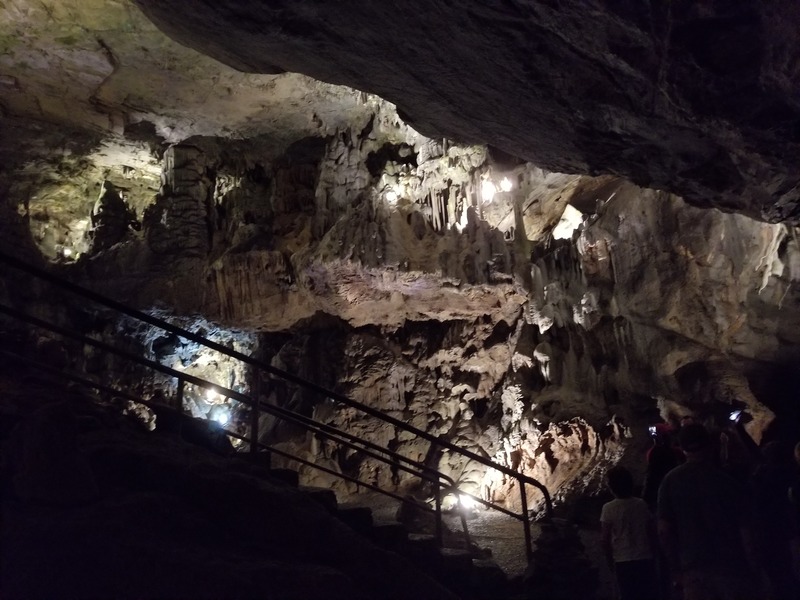 Our tour guide was Daniel from Germany….. he seemed to be very knowledgeable, made sure he didn’t miss anyone’s questions and was loud enough for the whole group to hear everything about the cave. 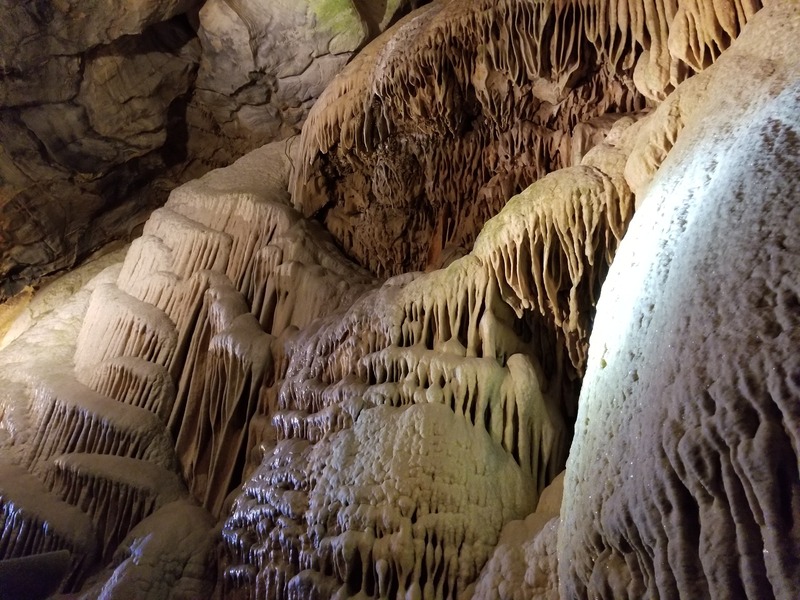 This is a walking tour through the cavern and lasts about 45 minutes total. Inside the cave is about 52 degrees all year round, making yesterday feel pretty good while there. I thought this was a pretty neat walking tour with plenty of views to look at, as you can see from some of the pictures. Outside of the cavern, they do have a petting zoo also, which we were a little disappointed in. There was a few goats, two alpacas, chickens, and some birds, not much too see, unfortunately. You also have a small playground for young children to tire them out before you take them home 🙂 I cannot forget the gift shop which does have a lot of pretty neat stuff, which I did avoid buying on this trip. Overall, a good family trip if you are around the area!